Those who call the Six Day War a disaster or a Pyrrhic victory are grossly mistaken, because they overlook the fact that Israel wasn't destroyed, historian Michael Oren told The Jerusalem Post on Monday. In an interview on the eve of the 40th anniversary of the outbreak of war on June 5, 1967, Oren said his research of documents in Arab countries had revealed clearly that the Arabs had planned to destroy Israel. Although this seems obvious to Israel sympathizers who hold to the traditional story of the Arabs' responsibility for the outbreak of war, the intervening decades have seen the promulgation of a myth that Israel was not really in danger. 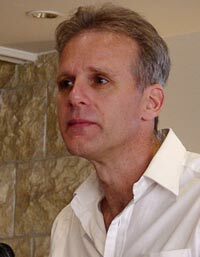 > "The biggest myth going is that somehow there was not a real and immediate Arab threat, that somehow Israel could have negotiated itself outside the crisis of 1967, and that it wasn't facing an existential threat, or facing any threat at all," said Oren, who is a senior fellow at the Adelson Institute for Strategic Studies at Jerusalem's Shalem Center and author of Six Days of War: June 1967. He noted that this was the premise of Tom Segev's book, 1967: Israel, the War and the Year That Transformed the Middle East. "What's remarkable is that all the people alleging this - not one of them is working from Arabic sources. It's quite extraordinary when you think about it. It's almost as if Israel were living in a universe by itself. It's a deeply solipsistic approach to Middle East history." What's behind the myth, Oren argued, is "a more pervasive, ongoing effort to show that Israel bears the bulk, if not the sole responsibility, for decades of conflict in the Arab world, and that the Arabs are the aggrieved party. "It's an attempt to show that Israel basically planned the Six Day War in advance, knowing that it was going to expand territorially. My position is that it was just the opposite. Israel was taken aback by the crisis, unprepared for it and panicked, believing it faced a true existential threat, and did not plan to expand territory. "It did everything it could to keep Jordan and Syria out of the war. My reading of the Arabic documents show that the Arabs had real plans to attack and destroy the State of Israel." Oren said Israel's strategic relationship with the US began with the war. "The United States, which previously regarded Israel as a friendly country but one that impaired its relations with the Arab world, suddenly realized that the Jewish state was in fact a regional superpower," he said. "The US subsequently forged an alliance with Israel that has remained ever since." The first person to recognize that the war had dramatically changed the geopolitical balance in the Middle East, according to Oren, was US president Lyndon Johnson, who initiated a peace plan later embodied in UN Security Council Resolution 242. "You can actually see 242 coming out of Johnson's head on June 5, 1967, including the notion that Israel would not have to return to the 1967 borders," Oren said. "Johnson is saying that particularly the West Bank border is not a defensible border; it's only eight miles across to the sea, and Israel should not have to go back to that border." The war, Oren said, marked "the emergence for the first time of a US-Israel strategic relationship, as the Johnson administration wakes up on June 12, 1967, and says, 'Oh my God, we've got a regional superpower on our hands. We can't afford not to have it as an ally.'" Oren acknowledged that the Six Day War also led to the establishment of "controversial settlements" in the West Bank and Gaza, to the ongoing conflict over Jerusalem and the relentless debate over Palestinian statehood. "And yet it was also the 1967 war that inaugurated the peace process," he said. "UN Resolution 242, enacted in its wake, remains the cornerstone of all negotiations and created the conditions for Palestinian self-rule. The current Arab League peace plan calls for 'full Israeli withdrawal' to the June 4, 1967, lines, and the 'road map' plan endorsed by the United States and much of the international community provides for the emergence of a Palestinian state in the West Bank and Gaza. "None of this would be possible if the West Bank and Gaza were still occupied by Jordan and Egypt, respectively, as they were in 1967, and if the Arab world were still consumed with how best to make war, rather than peace, with Israel." The war also "vastly enhanced" Israel's relationship with Jewish communities abroad, Oren said. "Before the war, some of the leading Jewish organizations in the US were reserved, if not distant, in their relationship with Israel," he said. "But as Arab armies massed on Israel's borders, Diaspora Jews confronted the possibility of witnessing a second Holocaust within a single generation, and later reveled in the joy of Israel's success. "Many were inspired by the reunification of the State of Israel with the biblical Land of Israel, with Bethlehem, Hebron and above all, Jerusalem. "Contributions poured into Israel, enabling it to strengthen its economy and its ability to absorb new immigrants, and American Jewish organizations lobbied for its defense." In the war itself, Oren said, Israel had high casualty rates, losing more than 700 soldiers, and "what is widely unknown is that we lost about 20 percent of our planes. "It was not in any way a picnic, not a walkover, particularly not on the Jordanian-Syrian front," he said. "The territorial outcomes of the war were dramatic in the extreme; Israel almost quadrupled its territorial size." Arab casualty rates are difficult to gauge, Oren said, but there were probably more than 15,000 dead and 10,000 captured, with about $2 billion of Soviet equipment destroyed on the field of battle. As a quirky aside, Oren also noted that the Six Day War actually lasted seven days. "Mount Hermon was actually taken on the seventh day of the Six Day War," he said.